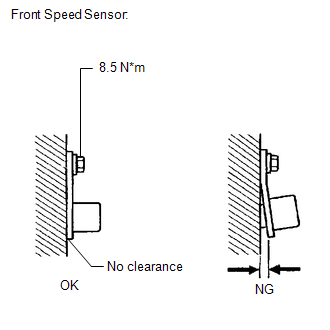 The speed sensor detects wheel speed and sends the appropriate signals to the skid control ECU. These signals are used for the ABS control system. Speed sensor rotors have 48 serrations. 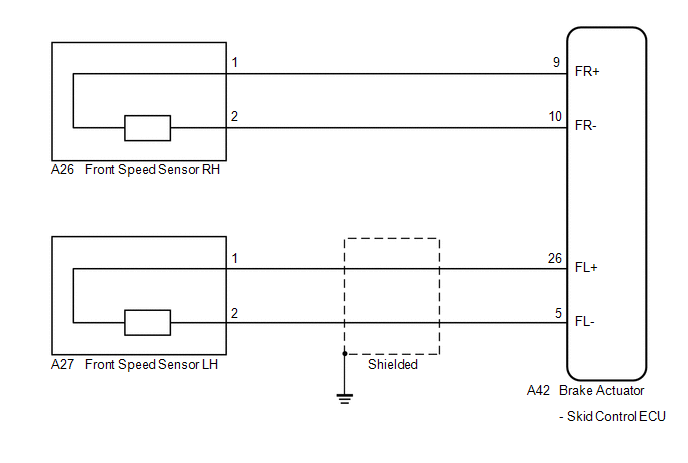 The hall IC type speed sensor use the frequency of output pulses to detect the vehicle speed. Because the sensor outputs digital pulses, it can detect vehicle speeds even when the vehicle is nearly stationary. DTCs C1271/71 and C1272/72 will be cleared when the speed sensor sends a vehicle speed signal or when Test Mode ends. DTCs C1271/71 and C1272/72 are output only in Test Mode. DTCs C0200/31, C1271/71 and C1330/35 are for the front speed sensor RH. 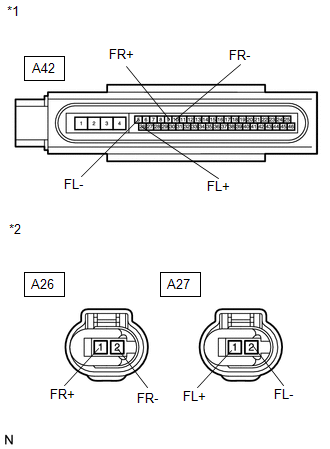 DTCs C0205/32, C1272/72 and C1331/36 are for the front speed sensor LH. (a) Install the front speed sensor. (c) Disconnect the skid control ECU connector and the front speed sensor connector. (a) Reconnect the skid control ECU connector and the front speed sensor connector. (b) Replace the front speed sensor (See page ). (b) Remove the front drive shaft assembly (See page ). (c) Replace the front drive outboard joint shaft assembly (front speed sensor rotor) (See page ). If the front speed sensor rotor needs to be replaced, replace it together with the front drive outboard joint shaft assembly. (a) Install the front drive shaft assembly.